Today I want to spend a little time just starting you down the path to getting out of debt. I want you to experience the exhilaration that comes from movement – taking steps toward your goal of debt-free living! Step One is simple. All you have to do is admit which Level of Debt Awareness you are at. Refer back to my previous article if you need help with this. 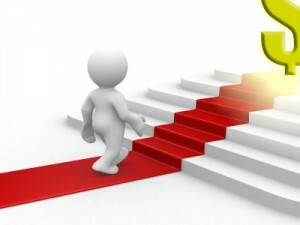 Step Two is to record FIVE ways you can implement to move from the level you are at now to just one level up. That’s all. Debt is PSYCHOLOGICAL… it is not FINANCIAL. You get out of debt by working on your mind, not on your pocketbook.